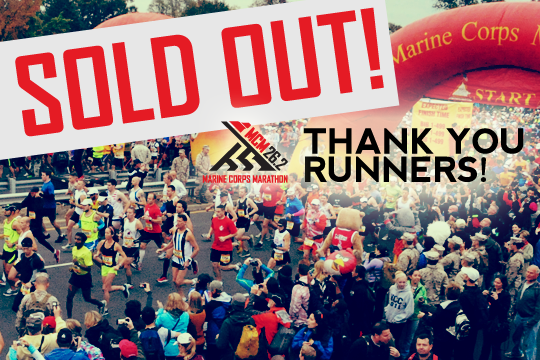 Again we saw another Marathon selling out in record time, this time it was Marine Corp Marathon who was sold out in record time 2:27 hrs. Although MCM claims this is a record the trues story is different as Marines and other groups have access to a pre-sale. But the big question is how future bigger marathons should handle the registration. Chicago and MCM have been using Active.com as their registration partner and both time the registration and Active.com has not been up to task. Facing major server issues etc. The registration becomes more like a lottery! So what is the best solution? NYC lottery style? Or maybe a form of Boston qualification system? Of course the best solution would be to solve the registration process itself and Active.com really has to look over its system and capacity. Also when will marathon races reach their peak? More and more marathons pops up and the need should be meet by far, but of course the bigger marathons are tempting to run for all runners. Marathons are selling out fast for sure and I'm not sure what the best solution is to the registration process is? What ever the solutions are I hope they are fare for all runners. Of course its positive with all marathon runners but the the registration process should not have to be a nightmare! It kind of bring back memories when you had hang outside Arenas in order to get tickets to your favorite band!